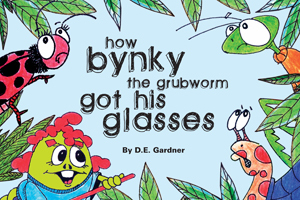 Bynky is a mischievous grub worm who likes to explore. When he set out one Saturday morning with his friends, they didn’t find trouble, trouble found them. After a run-in with a hungry crow, something happened that changed Bynky’s life forever — and the experience made him see things more clearly.